Weaver received “Best in Show” for his entry The Giving Tree- Feature Reporting. The news feature followed a first-year Westminster student’s visit with Dr. Clarence Harms, retired professor of biology emeritus, at the field station to search for the tree she planted on Earth Day when she was in first grade. Weaver says he can use his winning feature story in his classes to demonstrate best practices of the reporting process. While at the conference, Weaver presented on the Tweetspeak Cluster he taught with Dr. Kerri Duerr, associate professor of biology, where students engaged in a service learning situated around a project-based learning assignment. He sat on a four-person panel to discuss comparing and contrasting service learning, project-based learning and community-engaged scholarship. He also attended different workshops, video screenings, and accepted an award on behalf of his students who won the Student Award of Excellence in the student video competition. 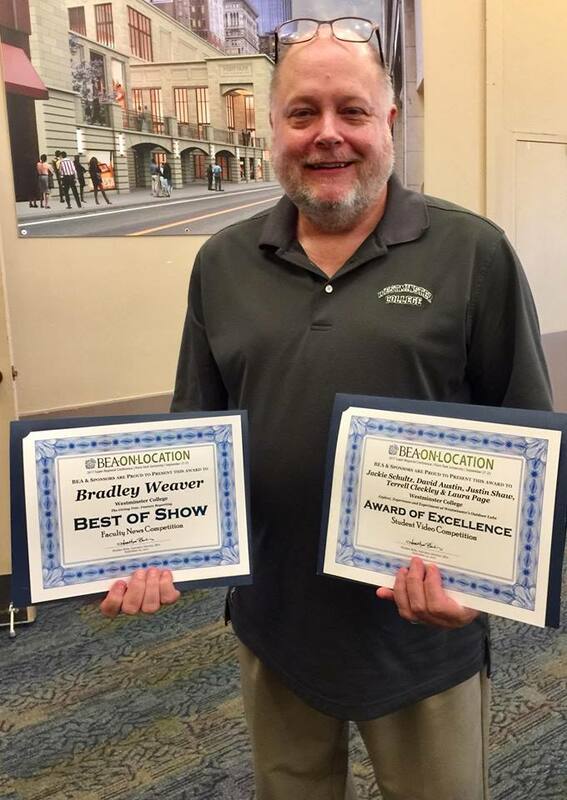 “The BEA On-Location Super Regional Conference allowed me to connect, and share experience and scholarship, with my peers from across the country,” added Weaver. Next articleHave you downloaded the Titan Radio app? Congrats to our BEA 2018 Festival of Media Arts Winners!